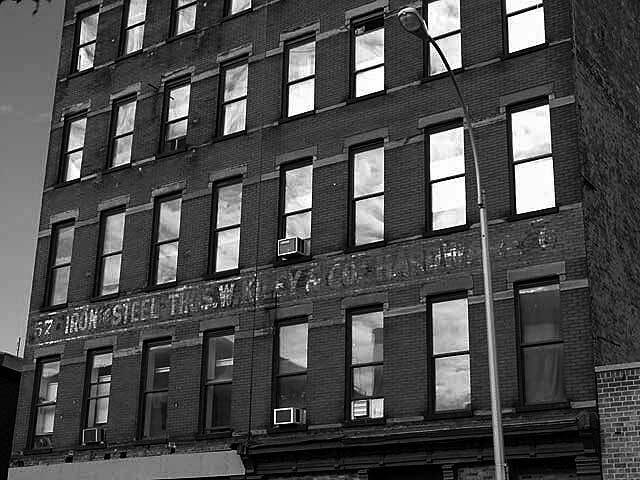 Thomas Willard Kiley opened his hardware business in this building in Williamsburg, Brooklyn in 1840. Almost a hundred years later (1933) the officers were: Thos. W. Kiley (1864/5-1934) (nephew to the founder), president; William A. Kiley (Thos. W.'s brother), vice-president; Kathy K. Murphy, secretary; and James A. Parks, treasurer. In its later days Thos. W. Kiley Co. changed its descriptive designation from "hardware" to "steel". Apparently they did a significant part of their business trading in iron and steel. Kiley went out of business in the 1950's.